Research Description: Prof. Han's research specialty is in the field of theorectical particle physics, especially the symmetry principles of elementary particle physics. In introducing the physically realizable quarks (with Dr. Yoichiro Nambu of the University of Chicago, in 1965), Dr. Han is credited for having first introduced the SU(3) symmetry for quarks, later came to be called the color symmetry of the Standard Model. The color charges of quarks provide the basis for the current theory of nuclear force, called the quantum chromodynamics. Dr. Han has authored three recent books which dealt with the populaization of quantum physics and high technology of today: THE SECRET LIFE OF QUANTA (1990, TAB/McGraw-Hill, translated into Japanese and Spanish), THE PROBABLE UNIVERSE (1993, TAB/McGraw-Hill), and QUARKS AND GLUONS (1999, World Scientific). Dr. Han is a recipient of the highest teaching awards bestowed to Duke faculty, the Duke Alumni Distinguished Teaching Award. 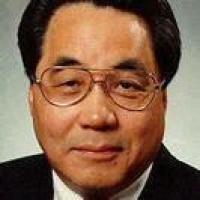 In recent past, Dr. Han has served as the national President (1985-86) of the Association of Korean Physicists in America (AKPA) and as the national President (1991-92) of the Korean-American Scientists and Engineers Association. During 1993-95, he served as the Chair of the Outstanding Young Researcher Award Committee of AKPA. Dr. Han is an honorary member of the Golden Key National Honor Society. He is one of the three recipients of the 1998 Global Korea Award by the Council on Korean Studies at the Michigan State University. M. Y. Han, The No-Go Theorems and Pauli's Exclusion Principle, Proceedings of Sudarshan Sy,posium, UT-Austin, November, 2006 (November, 2006) . M. Y. Han, A Short Introduction to Quantum Field Theory of Quarks and Leptons (February, 2005), pp. 150 pp, World Scientific (http://www.worldscibooks.com/physics/5649.html. This book is one of 23 titles chosen as Notable Physics Titles, WORLD YEAR OF PHYSICS 2005, which lists 23 books published by the World Scientific. The collection features 23 books, 7 authors are Nobel Prize winners and they are:‘t Hooft,Feynman,Yang,Anderson,Cohen-Tannoudji, Veltman,and Ginzburg.) [html] [abs]. M. Han, Undergraduate text on Modern Physics (2005) . M. Y. Han, Quarks and Gluons (Summer, 2000), World Scientific . Prof. Han's research specialty is in the field of theorectical particle physics, especially the symmetry principles of elementary particle physics. In introducing the physically realizable quarks (with Dr. Yoichiro Nambu of the University of Chicago, in 1965), Dr. Han is credited for having first introduced the SU(3) symmetry for quarks, later came to be called the color symmetry of the Standard Model. The color charges of quarks provide the basis for the current theory of nuclear force, called the quantum chromodynamics. Dr. Han has authored three recent books which dealt with the populaization of quantum physics and high technology of today: THE SECRET LIFE OF QUANTA (1990, TAB/McGraw-Hill, translated into Japanese and Spanish), THE PROBABLE UNIVERSE (1993, TAB/McGraw-Hill), and QUARKS AND GLUONS (1999, World Scientific). Dr. Han is a recipient of the highest teaching awards bestowed to Duke faculty, the Duke Alumni Distinguished Teaching Award. In recent past, Dr. Han has served as the national President (1985-86) of the Association of Korean Physicists in America (AKPA) and as the national President (1991-92) of the Korean-American Scientists and Engineers Association. During 1993-95, he served as the Chair of the Outstanding Young Researcher Award Committee of AKPA. Dr. Han is an honorary member of the Golden Key National Honor Society. He is one of the three recipients of the 1998 Global Korea Award by the Council on Korean Studies at the Michigan State University.